It’s reportedly raising a $US500 million funding round. Coinbase’s most recent private valuation was at $US1.6 billion, according to investors who contributed to its $US100 million funding round last year. 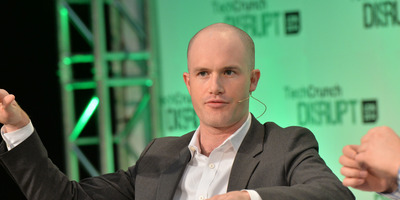 Coinbase is closing a deal that values the six-year-old cryptocurrency trading platform at $US8 billion, Recode reports. According to Recode’s sources the company is raising a $US500 million funding round that will likely include existing investors and a new investment from Tiger Global. Coinbase, which provides one of the leading platforms to exchange cryptocurrencies like ethereum, bitcoin, and litecoin, was most recently valued at $US1.6 billion with a $US100 million funding round in August 2017. Despite the dramatic dip in value in some of the platform’s cryptocurrency offerings this year,Coinbase was reportedly profitable in 2018. The company has emerged as one of the most prolific acquirers in the crypto sector, with a string of deals designed to bolster its services and fulfil its ambition of creating a one-stop shop that brings crypto to the masses. So far, most of Coinbase’s acquisitions have been relatively small, but a hefty new round of funding could give it significant firepower on the M&A front. At $US8 billion, the cryptocurrency platform would be among one of the highest privately valued companies in the US. Coinbase declined to comment on the matter.